The Black Box is not a wave board for all conditions. It is not about top speed. It is not about jumping. The Black Box is the board that excels in small, mushy waves and light winds. 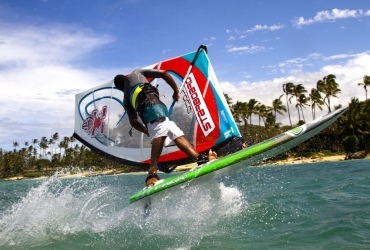 Many boards are marketed for real-world conditions and real-world sailors. Dany Bruch’s creation takes it a step further by offering a very short and wide shape with no excess volume that will create and hold speed on a wave like never before. The short length offers maneuverability. The width and trailer fin generate speed and drive on the wave. The tail Vee and the out-centered fins allow for easy, forgiving turns. The board feels loose, with a lot of buoyancy. 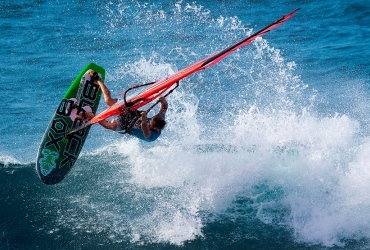 All these features come together to make the best performing light wind wave board. The Quads are Starboard’s most versatile wave boards. The unique shape and the four fins generate maximum drive and acceleration, bringing an awesome production of speed, flow and power to your sailing in all wave & wind combinations. Stable and extremely responsive, the Quads are most rewarding when driven off the rails for powerful yet smooth turns. The four-fin grip gives a very connected sensation to the wave yet they still have the ability to lose the tail when extended through the lip for a rotational move. For 2014, the Quad comes in a special Wave Technology. On top of that, a new Moreno Twins Pro Model has been developed for lighter riders and windy conditions. The 87 and 92 models have also seen their rocker lowered for better straight-line performance, and their outline slightly modified in the hips. All in all, the Quads still provide the same amazing levels of drive and control with bright fluorescent orange graphics! The NuEvo is Starboard’s high performance surfboard style wave board that excels in side-shore to side-onshore conditions, from knee to logo high waves. Its specialties are tight rail turns with excellent rail-to-rail transitions and extra-tight top turns. These boards react like surfboards with all the characteristics of high-end windsurfing wave boards; they are pure twin fin boards, with a slight toed-in angle. For 2014, Starboard has added 4 new models to the NuEvo range (86, 92, 101 & 110). This is very exciting as the range now feels more complete and offers the rider a wider selection. The NuEvos also come with a special Carbon Wave and Wood Wave Technology. 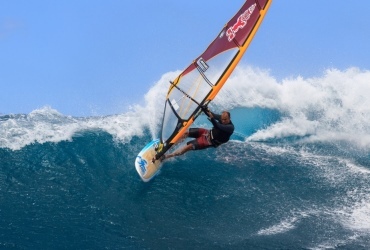 The Kode Wave is the board choice of two times PWA World Champion Philip Köster. 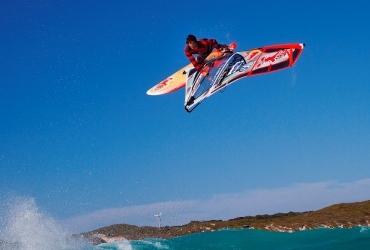 They are his fast, aerial style ‘next- generation’ signature wave boards. For 2014, the Kode Waves are shorter, making them lighter on the scale and under the feet. A Moreno Twins Pro Model 67 has also been added for smaller riders and Philip’s light wind board, the 92, also enters the range. The Kode Freestyle Waves are Starboard’s award-winning do-it-all boards. They are aggressive, fast and maneuverable, with a balanced blend between wave, freestyle and freeride. The new 2014 shapes have been tweaked, without losing any of their test-winning characteristics. The bigger volumes have seen their nose lowered for more control and speed while the smaller board, the 86, has been shortened in the nose for more liveliness and reactivity. The Flares are our fully dedicated freestyle boards, developed by the world’s best freestyle team. The Flares are boards that pop air easily and respond to a rider’s move instantaneously. They are fast in acceleration and feel compact and light in sliding and aerial maneuvers. For 2014, a new 81 liter Flare Pro Kids will replace the current 60 and 72 liter. The smallest freestyler can use this board with ease. New improved 91 & 101 models have a thicker tail to make the board more forgiving while the flatter deck helps the balance when not planing. Inserts have been moved forward to accommodate a higher stance and the mast track has been pushed back for extra lift. Construction-wise, the new Carbon Reflex Technology makes the Flare lighter and stronger.